If we have eggs, we have something to eat. And I know that eggs, or maybe just egg yolks, have been both praised and hazed over the years. But, personally, I’m a fan of the whole egg. If you differ, just skip the first recipe and substitute two whites for every whole egg in the second. That’s right, I have two very simple recipes for you today. 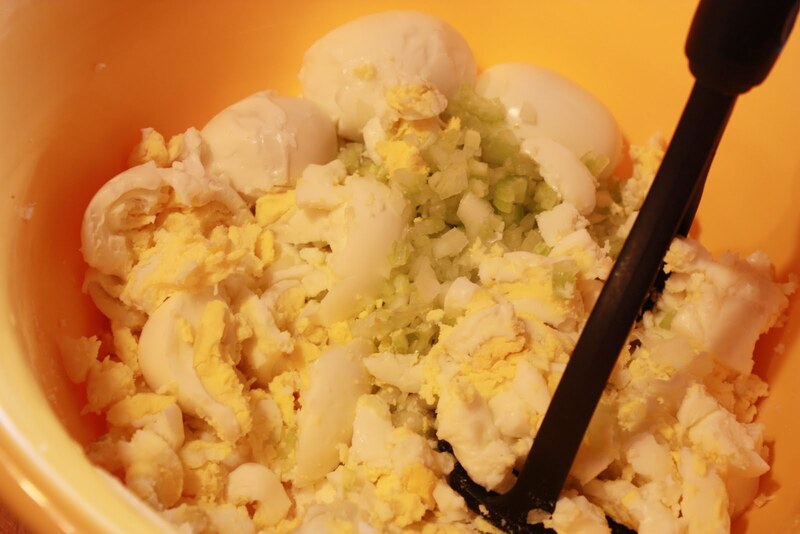 Remember egg salad? Maybe it’s just the region of the country that I am living in, but it seems to be gone with the wind. It’s still popular in this house, though. I love to have a batch in the fridge for a quick lunch or even a late breakfast. 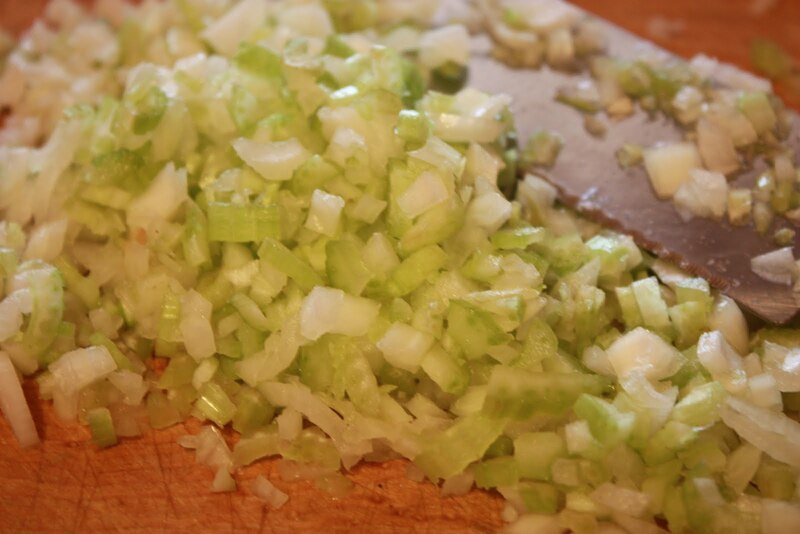 For my favorite egg salad, finely chop one small onion and two stalks of celery. Hard-boil and peel a dozen eggs. And mash them together with three tablespoons of light mayonnaise (or grapeseed oil Veganaise, which is what I used today), one teaspoon of salt, a pinch of parsley, a half teaspoon of dill, a quarter teaspoon of celery salt, and a dash of garlic powder and pepper. 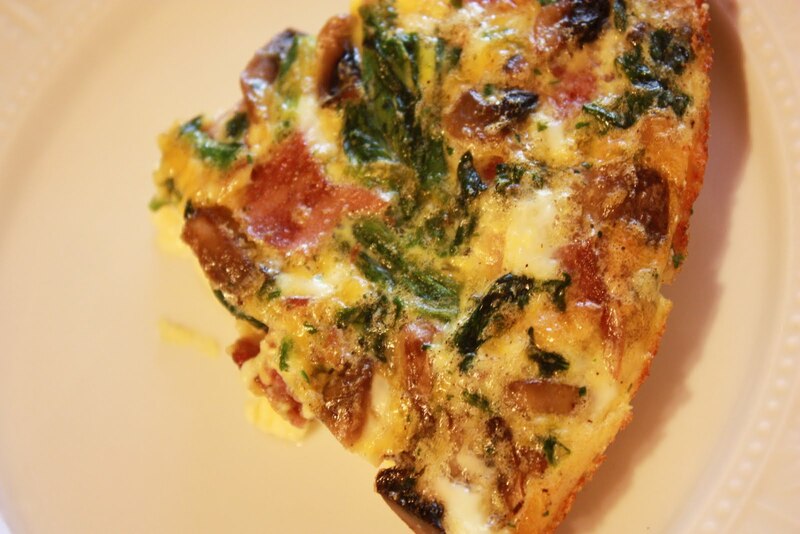 Do you love quiche? Do you avoid it because of the calories? Well, I think you’ll be pretty happy with the ingredients in this crustless, lowfat one. And I know you’ll be thrilled with the taste! Chop and pan sear five slices of turkey bacon. 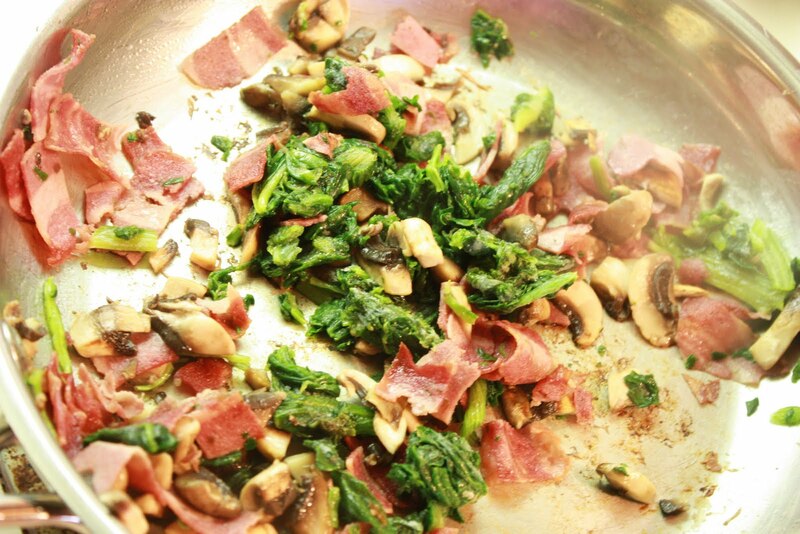 Add a teaspoon of vegetable oil and saute three-quarters of a cup of chopped mushrooms and a half cup of frozen spinach. Add the warm mixture and a half cup of grated cheddar to five thoroughly beaten eggs and a cup of skim milk. Pour into a lightly greased, non-stick pie pan and cook in a 350 degree oven for 30-35 minutes. 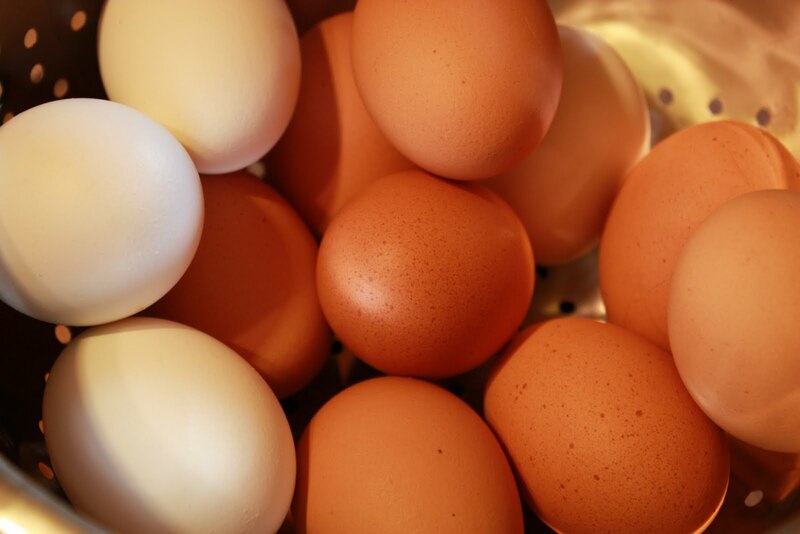 Is your home an egg friendly household? How do you like your eggs? 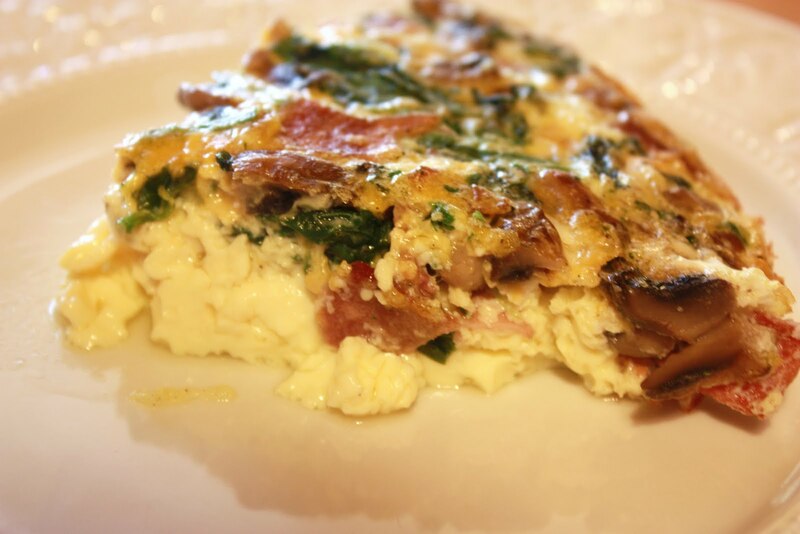 Share your original egg recipes with me before April 23rd. I’ll feature my favorite on my blog, and I might even offer a prize! I love eggs. 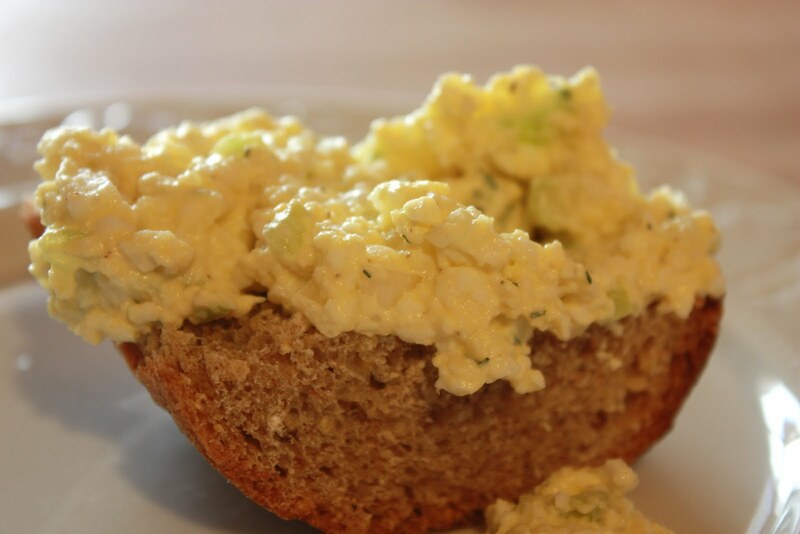 That egg salad recipe looks so good. Eggs are a great healthy source of protein.